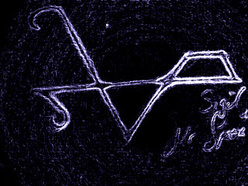 The idea for forming the band came about around the end of 2007. Joel (the guitarist) approached Boots (the drummer) with the initial concept and he quickly agreed to come on board. G was asked to join and when he accepted the invitation the line up was complete. The band considered getting a second guitarist but it was quickly decided that this was not needed and could be detrimental for the sound, the band were looking to create. All three of the members had played together before as part of a larger band called Betamax so when they began to jam and write material things came together very quickly. At this point they were still without a name. Much thought was put into this and many names were suggested until a friend (mr green) of the band came up with something all the members liked. 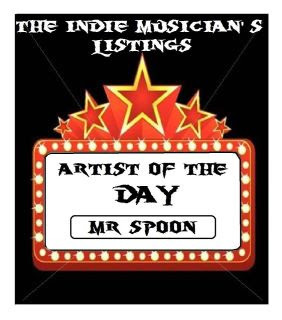 With its complete line up and a collection of original songs, Mr Spoon was born! The band has what could be described as a contemporary alternative rock style, all though there are many retro components also. The elements consist of a heavy overdriven lead rhythm guitar style, a driving and melodic bass and a hard yet intricate style that provides pace and flow. Over the top of this of this is Joel’s highly melodic vocals which lifts the music to a new level. All in all something greater than the sum of its parts is created. The band has many influences from many different types of music. They enjoy listening to dub, jazz, dance, punk, and classical just to mention a few as well as the contemporary and classical rock which is the predominant aspect of the music. All the musicians are highly competent and experienced and have been in numerous bands previous to this one. They have played live many times and enjoy doing so immensely and are always striving to perfect their performance. The band have now got more than an albums worth of material that is well rehearsed and ready to go and are writing new stuff all the time. If they were given the opportunity to put all their energy solely into their music they would be extremely prolific and would create many high quality tunes. They have currently been playing in Cardiff mainly at such venues as the Bar Fly and the Clwb Ifor Bach. They have also been doing a lot of home recording and have recently been into the studio(Dreamworld studios,pembrokeshire) to record a three track demo. Listen, Like, Share - Promotion Network ! !